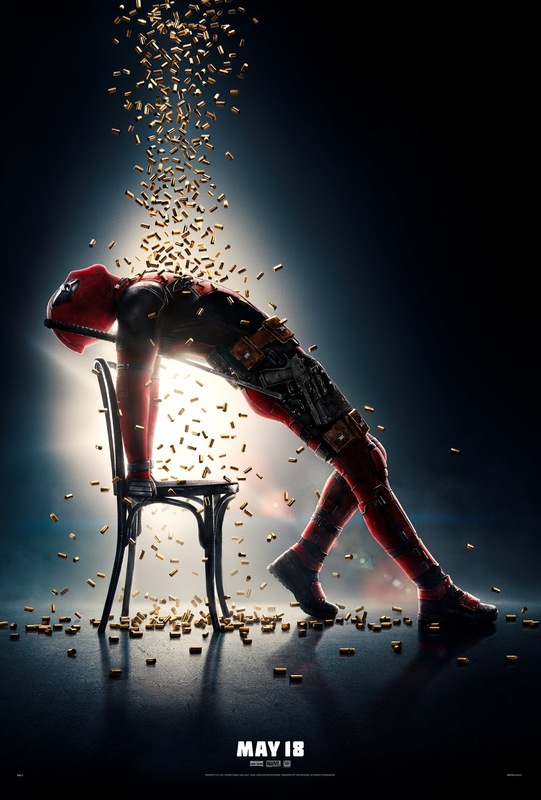 If the 2016 R-rated hit, Deadpool, poked a hole in superhero self-seriousness, its 2018 sequel, Deadpool 2, takes aim squarely at the superhero team-up films that have become so pervasive. Just as crass and irreverent as ever, the new film puts Deadpool (Ryan Reynolds) at odds with his old friends Colossus and Negasonic Teenage Warhead, both members of the X-Men, who prefer to do things by the book. They convince him to leave his outlaw ways behind and join the X-Men, and learn to work together with a team. Deadpool, of course, would rather chart his own path, and when the X-Men are called to save an angry young mutant calling himself Firefist (Julian Dennison) who has lost control of his powers, ends up on the wrong side of the law when he kills one of the aides from Firefist's oppressive, anti-mutant school. Jailed alongside the the young rebel, they soon come under attack by a time travelling mutant named Cable (Josh Brolin), who has come back in time to kill Firefist while he is young to prevent him from slaughtering his family in the future. In order to stop Cable, Deadpool must, of course, assemble a new team of misfits, for only together can they be strong enough to take on not only Cable, but the increasingly angry Firefist and his new friend, Juggernaut (Reynolds again). Or at least, that's what the film wants you to believe anyway, as it takes down Deadpool's newfound teammates with gruesome glee, poking merciless fun at everything from Justice League to The Avengers to X-Men. Yet filmmaker David Leitch (John Wick, Atomic Blonde) doesn't just coast on occasionally obnoxious, meta-textual humor that defined the original film. Sure, it doesn't take itself seriously, but it actually takes the time to give us characters worth caring about. It doesn't pay much attention to time or place, or even series continuity (when does this film take place? ), details are clearly beside the point here. There are still plenty of fourth-wall breaking quips from the "merc with a mouth," but underneath it all is a surprising amount of heart. Reynolds is as roguishly charming as ever, but the real scene-stealers here are Dennison and Brolin, who deftly blur the lines between hero and villain, testing our allegiances and finding humanity in their respective characters. There are no villains here, merely characters with opposing goals, and Deadpool 2 uses that to its advantage, finding a surprising amount of hope in a dark and seemingly hopeless world. The wildly vulgar humor won't be for everyone, but Leitch does a fantastic job of balancing the film's tongue comedy with some genuine character moments and tightly choreographed action. Its themes of trying to prevent a child from becoming a murderer seems a but misplaced when Deadpool himself kills so dispassionately (not to mention the fact that the man he wants so desperately to kill is his abuser, the school's fanatical headmaster), which seems to be the kind of inconsistency the filmmakers would just as soon sweep under the rug. But Leitch is a fine stylist, and he manages to take the snickering teen boy humor of the original film and give it some much needed focus, resulting in a film that is more emotionally satisfying and more cohesive than its predecessor. DEADPOOL 2 | Directed by David Leitch | Stars Ryan Reynolds, Josh Brolin, Morena Baccarin, Julian Dennison, Zazie Beetz, T.J. Miller, Karan Soni | Rated R for strong violence and language throughout, sexual references and brief drug material | Now playing in theaters everywhere.